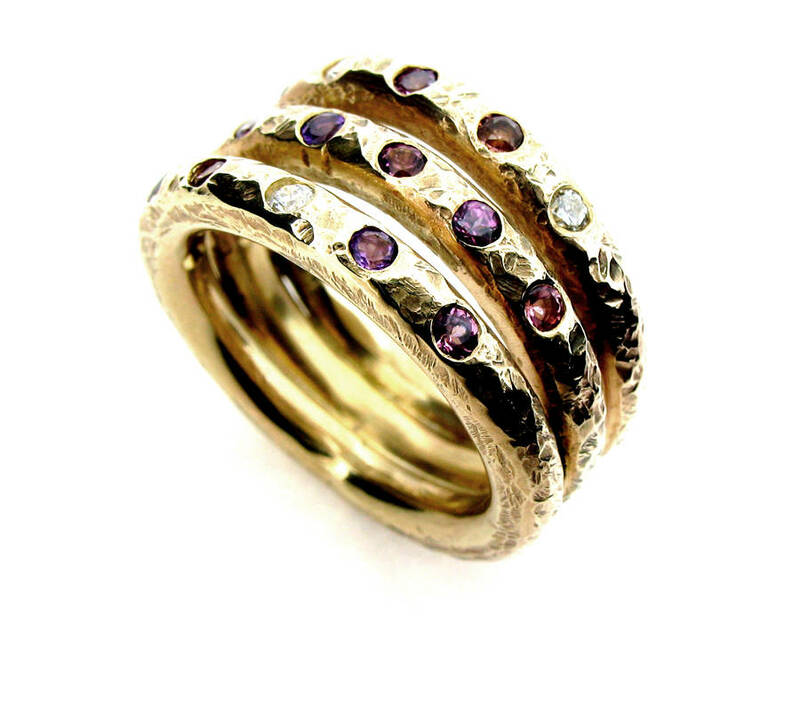 Three textured bands fused together and dotted with 2mm diamonds, amethysts, garnets and pink tourmalines creates this luxurious ring. 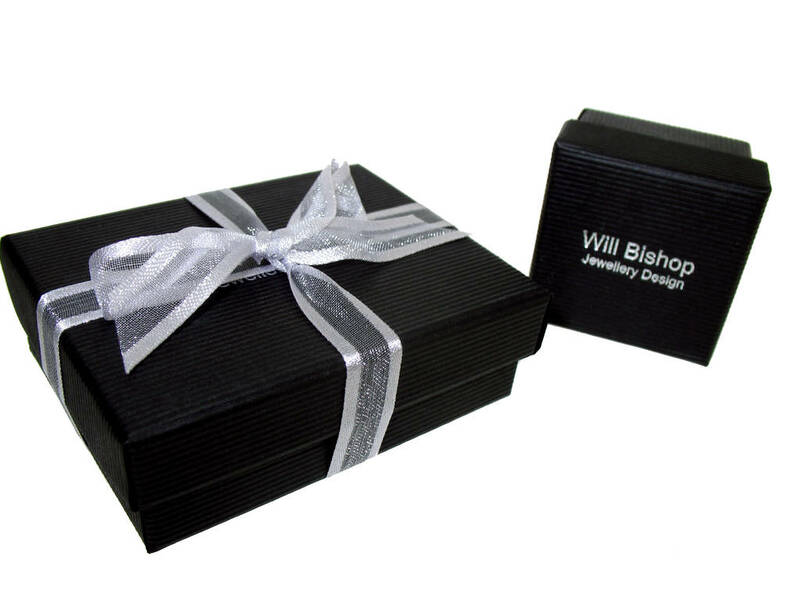 The ring is availble in 9ct white or yellow gold, please choose from the drop down menu. The ring is 9ct yellow gold and hallmarked with the London Assay Office official stamp and my maker's mark (cw.) in accordance with the Hallmarking Act 1973. The ring is approximately 1cm wide at the front and 0.8mm wide at the back. 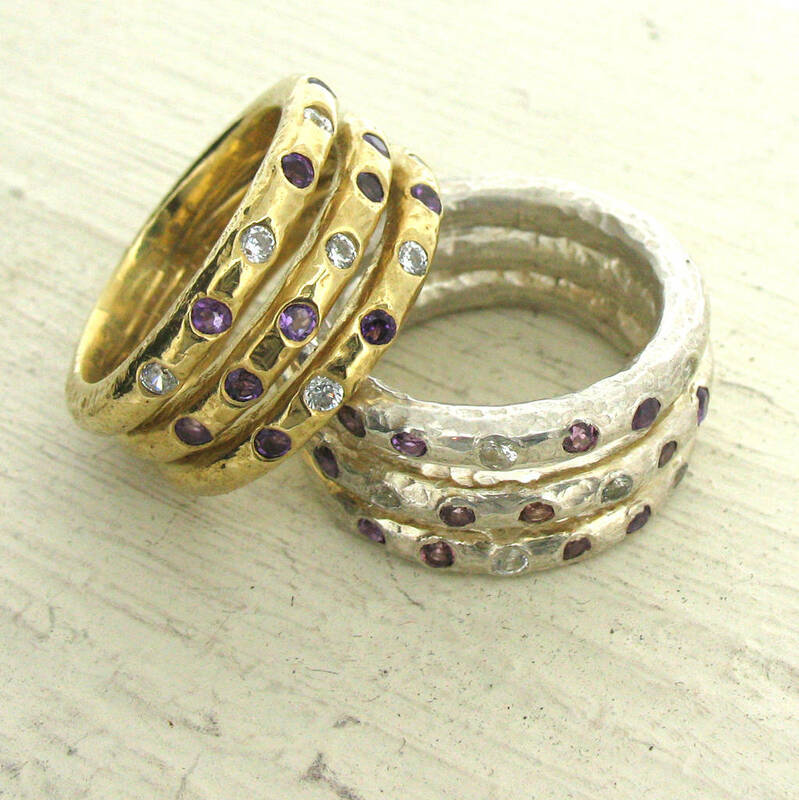 Each ring is approximately 3mm wide and set with 2mm stones.